Join us as we welcome John Michael Montgomery to the Sac County Fair! The Jay Clyde Band will get things started at 7pm. $25 general admission. 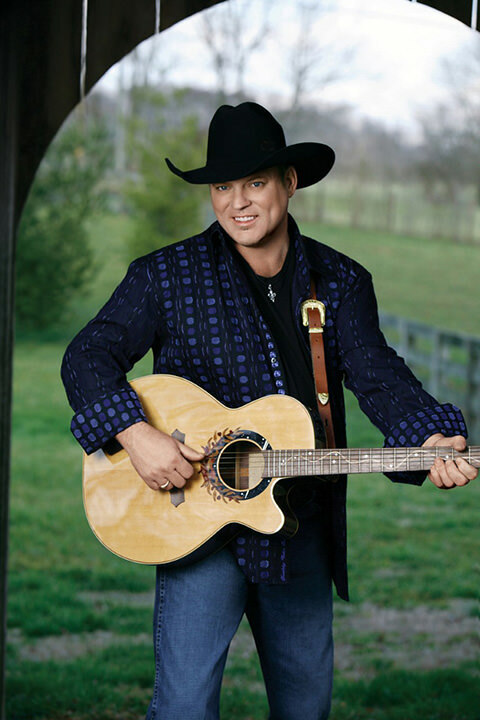 John Michael Montgomery (born January 20, 1965) is an American country music singer. Montgomery began singing with his brother Eddie, who would later become known as one half of Montgomery Gentry, before beginning his major-label solo career in 1992. He has had more than 30 singles on the Billboard country charts, of which seven have reached number one: "I Love the Way You Love Me", "I Swear", "Be My Baby Tonight", "If You've Got Love", "I Can Love You Like That", "Sold (The Grundy County Auction Incident)", and "The Little Girl". 13 more have reached the top 10. "I Swear" and "Sold (The Grundy County Auction Incident)" were named by Billboard as the top country songs of 1994 and 1995, respectively. Montgomery's recordings of "I Swear" and "I Can Love You Like That" were both released concurrently with cover versions by the R&B group All-4-One. Several of Montgomery's singles crossed over to the Billboard Hot 100, his highest peak there having been achieved by "Letters from Home" in 2004. Montgomery has released 10 studio albums. His first seven albums were released via Atlantic Records Nashville, and his next two via parent company Warner Bros. Records Nashville after Atlantic closed its country division in 2001. His first three albums, Life's a Dance (1992), Kickin' It Up (1994), and John Michael Montgomery (1995) are all certified multi-platinum by the Recording Industry Association of America (RIAA); 1996's What I Do the Best is certified platinum; while Leave a Mark (1998) and Brand New Me (2000) are certified gold.